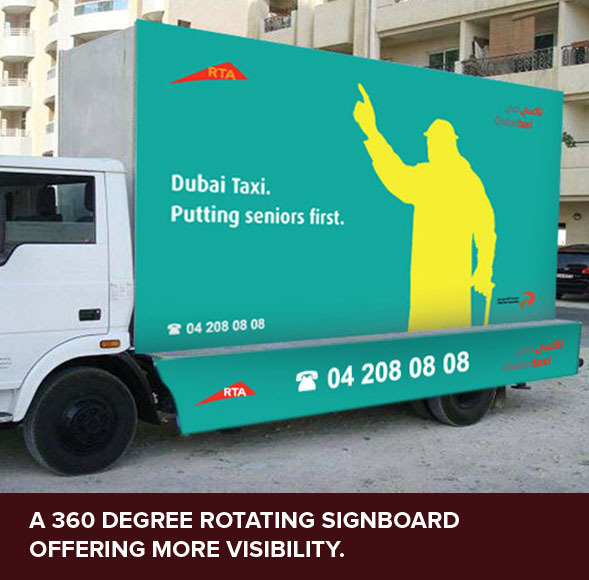 Mobile billboards provide a great way for your message to stand out amongst the many different advertising mediums. 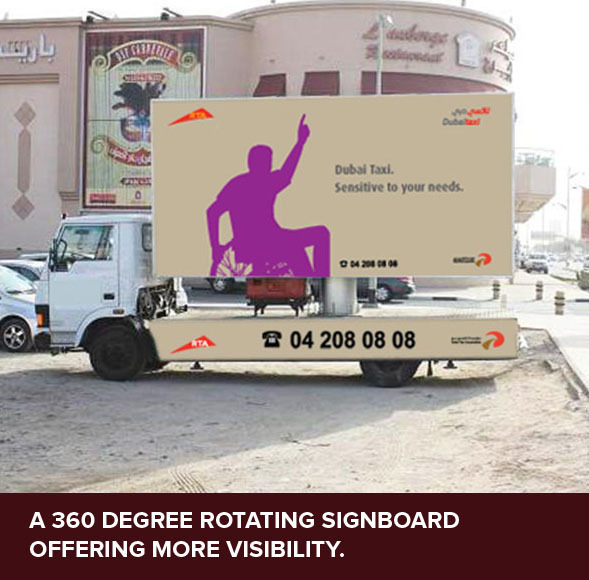 Advertising with mobile billboards can help you create a lasting, visual impact of your brand. 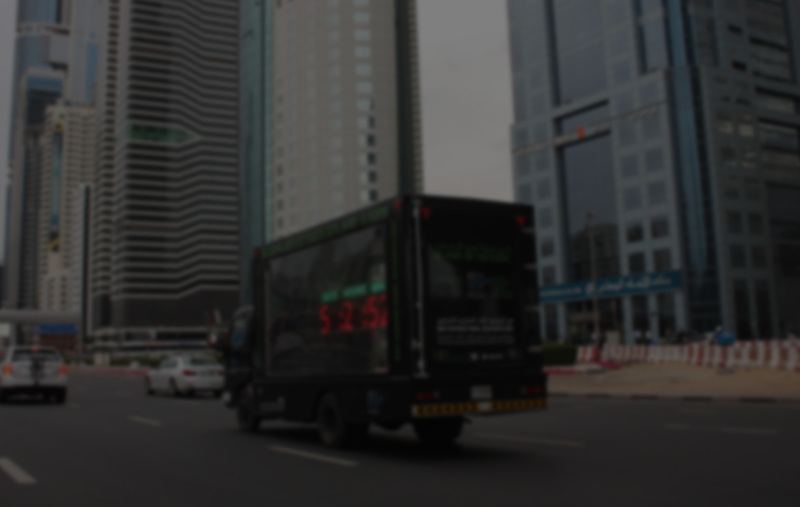 Out of home media in Dubai can help you save money compared to other media. 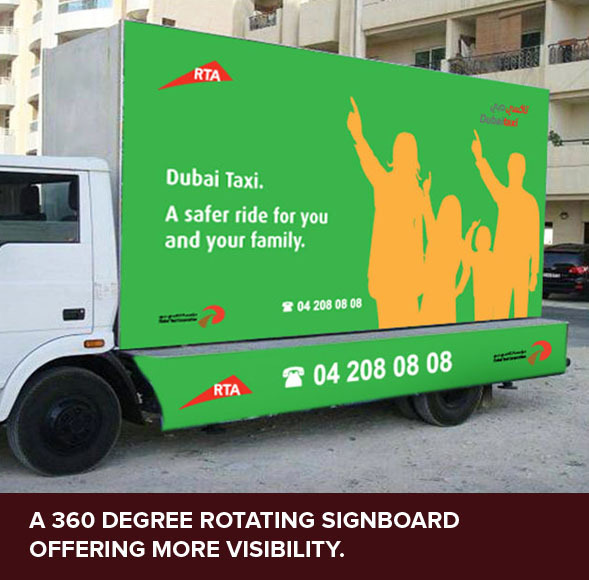 By using outdoor advertising company you can reach mass audiences efficiently in Dubai. 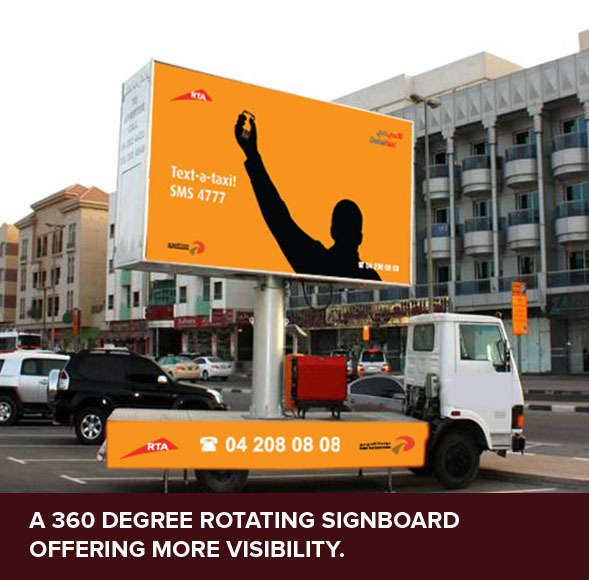 Our outdoor media company will help you target the specific areas and markets you wish to reach. 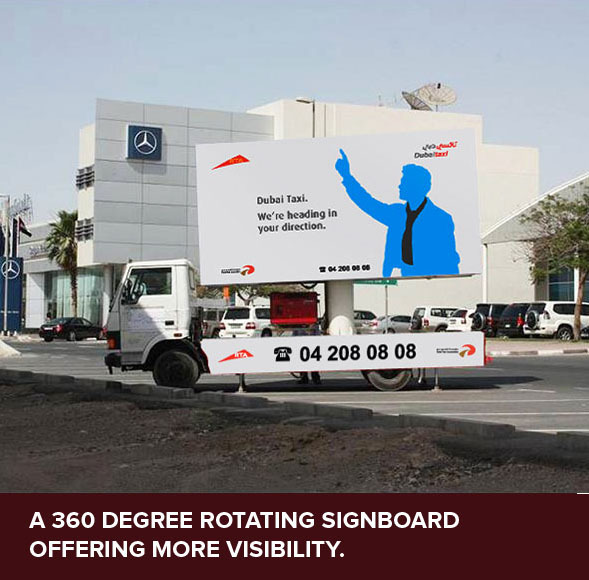 Mobile Billboards campaign will help you create brand awareness. Mobile Billboard campaign with our outdoor media company will help motivate your audience to take action.  No other media can match the impact and range for the investment. 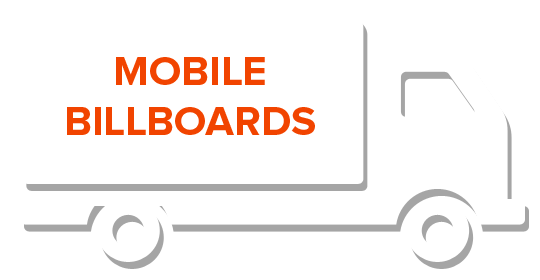 where can you use mobile billboards?  Pair Mobile Advertising with our other services to maximise the effectiveness and efficiency of your campaign!